Gypsum can be sorted to many types according to the different physical &chemical properties, such as Natural dihydrate gypsum (it is also called gypsum), hemihydrate gypsum (the calcined gypsum, namely building gypsum, plaster), mould plaster, floor gypsum, etc. For their special properties, gypsum has widely application in modern industry. 1.Gypsum is important medicine drug. 2.Gypsum can be used to produce gypsum plaster, like building gypsum, high-strength gypsum. 3.Gypsum is able to used to produce gypsum building product, such as drywalling, fibrous plaster and PlasterBoard, etc. 4.Gypsum is also used to make Portland cement. Construction industry, medicine industry, food industry and many fledgling industries. 1.The gypsum blocks usually bigger than the max. feeding size of gypsum grinding mill, so they must be crushed by primary crushers. 2.Crushed gypsum are fed to the gypsum milling machinery and be discharged until they are grinded to qualified products. 3.Gypsum powders are fed to calcinatory. 4.According to industrial use, the gypsum are used to produce different products. Currently, Clirik HGM or MTM Grinding milling machinery is the mainstream equipments in gypsum powder production lines, and the powder size meet most of our customer’s requirement very well. 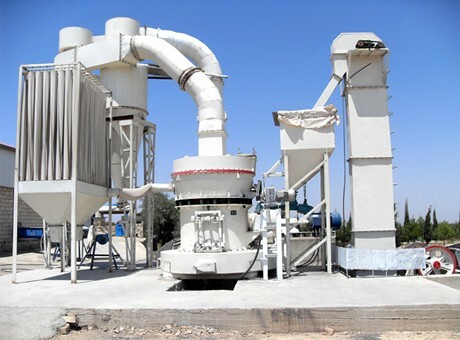 By using these two gypsum Grinding mills, customers can find these advantages as followings. 1.The machinery use bevel gear transmission, the power is steady. 2.Special internal thin oil lubrication system ensures good lubrication, efficiently prevent emission problems. 3.The curved air flue can efficiently reduce the resistance of airflow. Meanwhile, the tangential airflow is good for distribute the minerals, protecting the machine from being blocked. 4.Curved surface shovel with exchangeable blade, in this way, the running cost is cut.